I love Altenew henna elements. I first did a sample of how I wanted my card in black and then it just came together. 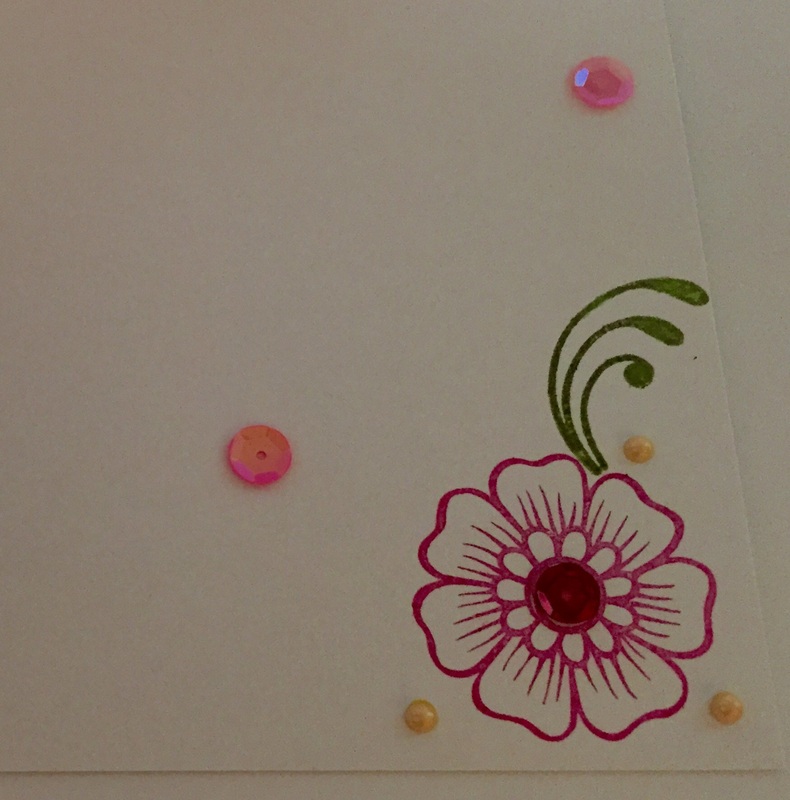 I stamped, masked, colored with copics added sequins and liquid pearls and a ribbon. 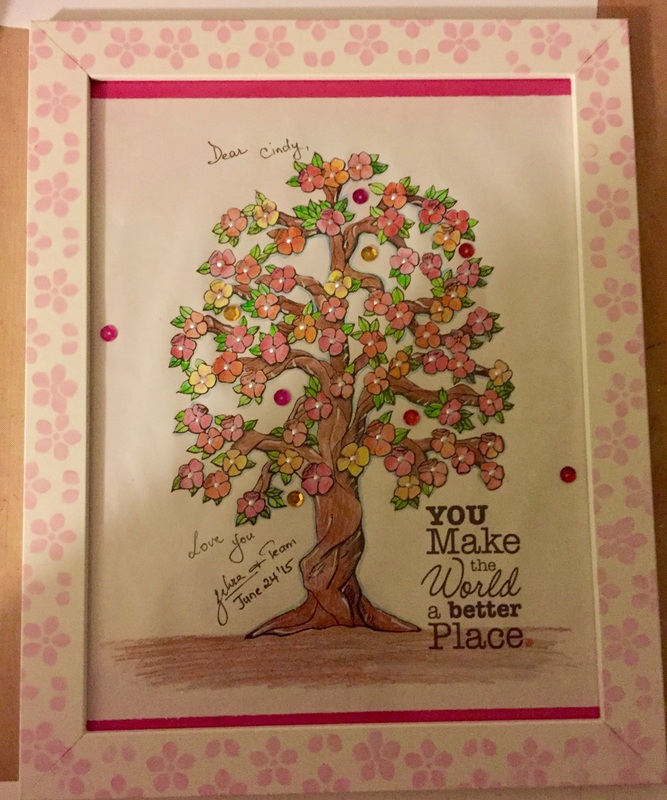 Here is a frame I made from coloring at work with color pencils, I stamped the white frame. 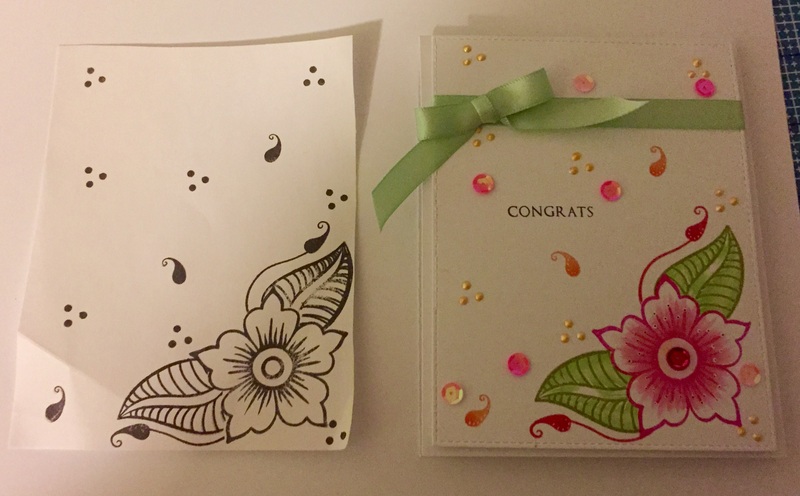 I am entering the card in Simon says stamp going dotty; craft dee bow z– anything with a bow; get creative challenge and come and get it– both must include flowers and Loves Rubber Stamp– anything goes. 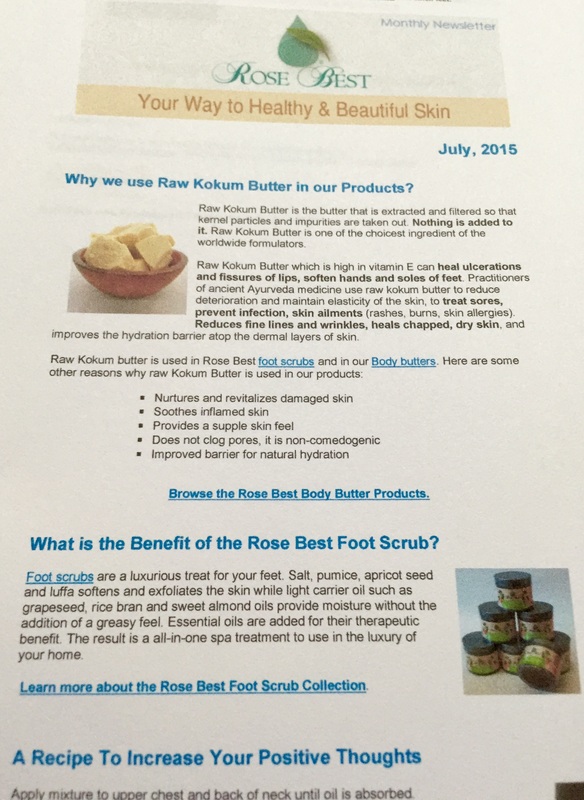 Did u hear, I am so excited, my first newsletter went out yesterday. Awesome! Wonderful ideas! Glad you could join us at Get Creative Challenges! Simply stunning! Beautiful CAS card. Love your design and colors. Thanks for joining the Craft-Dee BowZ July Challenge, “Anything goes and include a handmade bow”. super sweet, luvely flower! I am giving away simon says stamp gift cards on my blog all month, stop by to comment for your chance at winning. I am so glad you played along with us at the Simon Says Stamp Wednesday Challenge! Such a pretty card, the flower is perfectly placed. 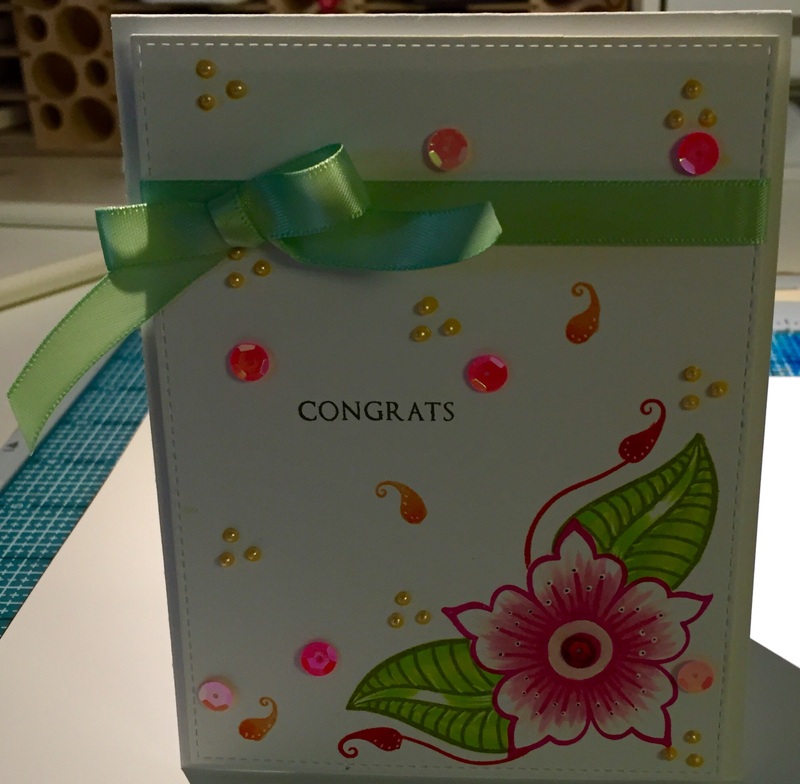 I like how you stamped and lay-out your card first…a clever idea! Thanks for sharing with us at Loves Rubberstamps this week, hope you’ll join us for more of our weekly challenges. Beautiful design, love the bright pink and awesome sequins! Thanks for sharing it with us at Loves Rubberstamps this week! Thank you soo much for taking part in our “flowers” challenge over at Come and Get it & good luck in the draw.